Arc Avalon: I really like Retropolis, Classic Synthwave. I can’t help but notice your name is Absinth3? The legal drinking age in the UK is lower than the US, any coincidence? Arc Avalon: I see people mention your age, and you producing like someone beyond your years. What I’m more interested in is your use of social media to get your name out there, You’re a true hustler. Do you have any advice for anyone on this? Your posts aren’t bragging, I genuinely feel the excitement you have for your music every time you post. Absinth3: Aww thanks so much! Social Media is a great way to get your material out there, Twitter especially. I love to interact with everyone and express my love for music all the time! I absolutely hate people with an ego. Arc Avalon: Speaking of ego, Retropolis is very feature driven, You brought in a few people on this like Lisa Marie Perkins and Chelsea Owen. What made you decide to go this way, And was it hard working with “The Talent” at all? 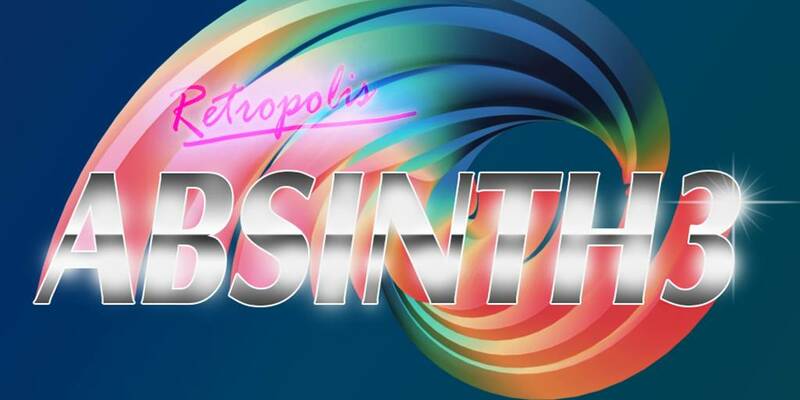 Absinth3: Absolutely, I wanted to create a heart-felt album and thought what better way to do it than getting some of my closest friends in the scene involved! It was such a great, friendly experience working with them and I wish I could go back and do it all again! Arc Avalon: You have really stepped up your mixing on Retropolis, I had to check the credits to see if you had outside help on this. Did you set out with wanting a bigger and tighter sound, or was this just a natural progression. Did you have any help, Maybe those close friends you mention providing feedback? How long have you been working on this? Arc Avalon: What track is your pet off this album, I know fans have their favorites. Is there a track you spent more time on and really loved, but it seems to be getting less love than others from the fans? Absinth3: Not really, I tried to produce each track with the most amount of love possible. I’d love to know what everyone’s favorite track off the album is though! Arc Avalon: Are you already working on something new for the fans? Or taking a breather? Arc Avalon: You deserve one after this. Anything you want to say to the fans or maybe advice to fellow producers? Absinth3: Sure thing! Thank you all for supporting me always, I love you all! Never stop what you are doing, I’ll always be there to support you guys! I’m just a click away. Arc Avalon: Thanks for the interview Ethan, Doing this for a site you cant even look at yet. No one can ever doubt your hustle spirit. Absinth3: No problems at all! Thank so much for the opportunity.